The Page 99 Test: Alvaro Jarrín's "The Biopolitics of Beauty"
Alvaro Jarrín is Assistant Professor of Anthropology at College of the Holy Cross. Plastic surgery in Brazil is permeated by anxiety: patients frequently remark that plastic surgery will provide them the “right appearance” needed to succeed in life, and that without it they will suffer discrimination and social rejection. My book argues that this anxiety reflects a widespread perception of beauty as condensing race, class and gender inequalities onto the body – the realm of bodily aesthetics becomes the terrain upon which citizenship claims are made and become undone. For low-income patients seeking plastic surgery in publicly funded hospitals, in particular, these surgeries are understood as unavoidable risks that they must take in order to achieve or secure upward mobility. 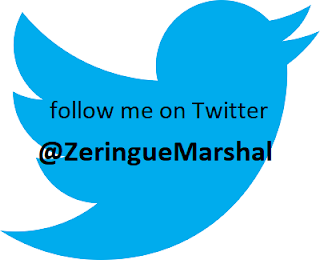 In page 99 of my book, I tell the story of Leila, a fifty-five-year-old social worker who described her own nose surgery and her daughter’s nose surgery as necessary interventions that provided them more opportunities in life and thus brought them happiness. Leila made a clear distinction between one’s face and one’s body: while she felt that only “thinner” noses associated with European heritage were beautiful and harmonious, she regarded the nation’s “black and Indian heritage” as providing sensuality to Brazilian bodies. This racialization of bodily features haunts the descriptions of beauty in Brazil, and supports the notion that some types of racial mixture are more aesthetically pleasing than others. Plastic surgeons, above all, are very invested in this “raciology of beauty” and imagine themselves as correcting the errors of “miscegenation.” Opening plastic surgery services in publicly funded hospitals has historical ties to biopolitical concerns with producing a more homogeneous and beautiful citizenry. 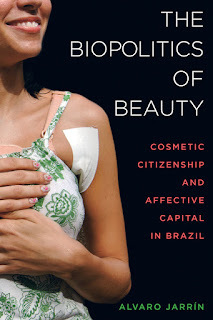 The idea that beautification is a measure of racial progress can be traced back to the Brazilian eugenics movement of the early twentieth century, and some plastic surgeons still frame their discipline as aiding eugenics. Individual stories like Lucia’s, I argue, can only be interpreted within this longer history regarding how racialized, classed and gendered bodies have been long perceived as providing different types of value for the nation, putting particular pressure on working-class women of color to seek out plastic surgery. Learn more about The Biopolitics of Beauty at the University of California Press website.